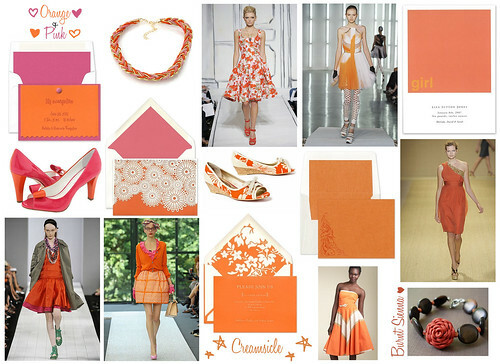 As designers showcase their Spring 2009 Ready to Wear collections, one color has really stood out to me. Although it likely won't hit stores en masse until early '09, designers are taking note that this bold, beautiful hue is going to sizzle come Spring. Thus far, orange is not a stand alone color for 2009. It is frequently paired with another hue like pinks and fuchsias for a bright pop or white for a cooler feel. Deep oranges like burnt sienna are simply smoldering and are typically accented by natural materials or muted metallics.